Enclosed is a picture of 2 Rs 2. Notes. As you must have noticed the serial number on both the notes are same. My father discovered a bundle with 101 notes and upon closer inspection found that these 2 notes were of the same serial number. He used to get currency issued directly from the Reserve Bank of India to make labour payments. He found these notes sometime in the early 80s. Now i have no way to guarantee that these notes are not counterfeit and i am worried that the bank will seize and destroy the notes saying they are counterfeit so I can't provide any proof. I think that this a printing error. In the picture u can see all 3 watermarks that can be found on the same notes printed during that time. 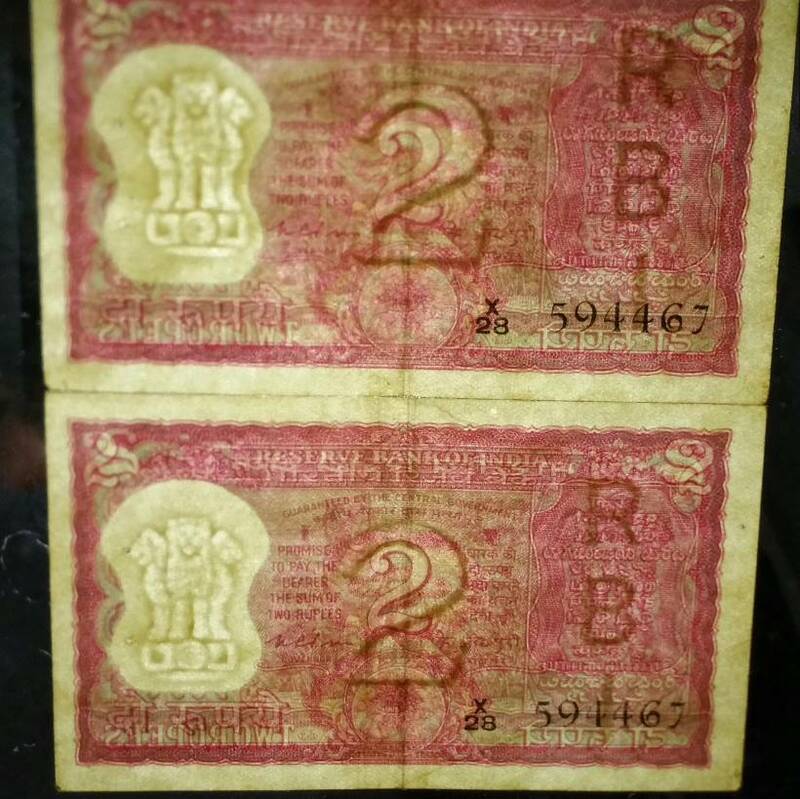 It was more common in older time for notes with same serial numbers. However getting 101 notes in the bundle is not common and should have got caught.